A beautifully balanced, aromatic Moroccan spice medley, Ras El Hanout is the key to delicious tagines, marinades and more. Literally meaning ‘top of the shop’, our Ras El Hanout is a specially selected blend of some of the world’s finest spices to give your food a warm aromatic flavour. If you like cooking North African, this Ras El Hanout will bring a whole new twist to your dishes. 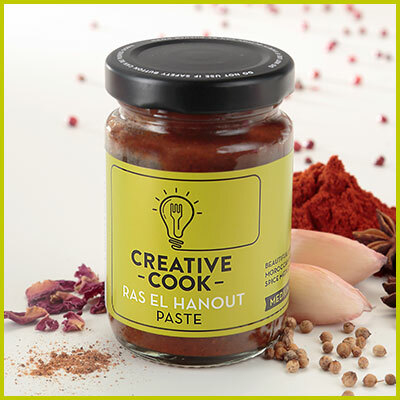 The flavour intensity of this lamb tagine masks the sheer ease with which it can be made using our Ras El Hanout paste. Capturing the colour, vibrancy and scents of a Moroccan souk, this brings all the flavours of North Africa to your table.